The onomastic journal, Voprosy Onomastiki, recently announced the release of its latest volume for 2016. 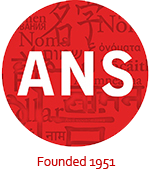 A publication of the Russian Language Institute of the Russian Academy of Sciences, this peer-reviewed onomastic journal features contributions dealing with any aspect of onomastics and specializes in research exploring names and naming in the Slavic, Finno-Ugric, Romance, Germanic, Celtic and Turkic languages. Not surprisingly, the journal also publishes in four different languages: English, German, French, and Russian.